So, if you read this blog you probably know who Dave Armstrong is. He has been doing popular Catholic apologetics for years. He runs a blog on Patheos and used to have another website, which I believe is now defunct or redirects to the Patheos site. I have had several run-ins with Dave over the years and we have butted heads on the issue of Catholic Traditionalism. I have kind of argued with Dave in my comboxes, published articles rebutting things he said that I disagreed with, and bantered with him on Facebook over the years. Other traditionalists have had similar encounters with him - often leading to someone getting banned from Dave's Facebook page. I have to be honest, I would get so riled up reading Dave's comments on "radical traditionalism" that I unfollowed him on Facebook - not because I dislike Dave personally, but because I was wasting so much time reading his long threads and arguing back and forth. This was last summer I believe. Well, you might not know it, but Dave and I live only an hour away from each other. He and I have many mutual friends. Dave, to his credit, seems to have not been happy with the way some of his interactions with traditionalists had gone and reached out to me last Fall to kind of build some bridges. Dave has monthly gatherings at his home where he invites speakers to address a variety of topics relevant to the faith. He reached out to me and asked if I would come to his home to speak to his friends about "authentic traditionalism." I agreed. The result was this video. There were about fifteen people there, including Dr. Robert Fastiggi, Professor of Theology at Sacred Heart Seminary in Detroit, and Dr. Phil Blosser, Professor of Philosophy at Sacred Heart and blogmaster of the excellent blog Musings of a Pertinacious Papist, which has generously linked to this blog over the years. A few notes - I know people will object to my comments early on that some people can be "too nit-picky" about liturgy and that this can be a fault. Some people think you can never be too particular about liturgy. I'm sorry, I disagree. When your priest, despite huge opposition, begins to offer the Latin Mass and you complain about his pronunciation; when you tap somebody on the shoulder before Mass and tell them that the genuflected on the wrong knee; when a volunteer amateur choir director puts in arduous hours preparing the chants for Sunday and you complain about the quality of the polyphony - I'm sorry, you are being too nit-picky. 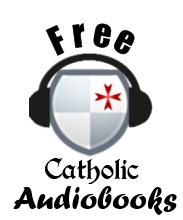 One interesting thing was that both Dave and I wanted to make sure the presentation of the argument for tradition was positive - that is, it was not centered on the problems with Vatican II or exclusively on abuses or papal scandal or things like that. It was to be centered on the positive value of tradition considered in itself, not in relation to all the terrible things happening right now. I also mention at the end that I am interested in promoting a traditionalism that is not bound up with the fate of the SSPX. For those who read this blog this should be nothing new. 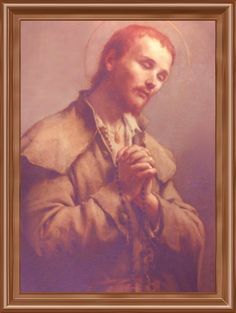 I pray for the SSPX to be reconciled fully with the Church. But I do not think traditionalism stands or falls with the SSPX. Special thanks to Dave for extending the invitation to me. I had a chance to have dinner with Dave and his family before the talk and - as is the case with most humans - he is much more likable in person than as a name in a combox. We still have our disagreements, of course, but that doesn't mean we have to personally dislike each other. Anyhow, if you're interested, take a look. And subscribe to our Youtube channel. I think term "radical traditionalism" should be dropped. It should be called "faux-traditionalism." If a conservative protestant is constantly bombarded by radical liberal “Catholics” would it be okay if he called them "radical Catholics?" I would think that they would not be “authentically Catholic,” and in fact they would not be Catholic at all. It is an extreme example to make my point. There is a lot of objective vs. subjective here. Let’s use the example of the Mass, because it’s the easiest. For a moment, put aside the reform efforts of the 1950s for this one. 1. A Catholic could be someone who wants to adhere to the fullest means and expression of the Catholic faith handed down through tradition – or what they think is the fullest expression. 2. 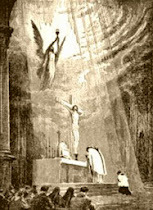 Using the Mass as an example, this Roman rite Catholic would, hence, want to use the most traditional form of the Roman rite available to him: e.g. the 1962 missal [also put out of your mind dispensations to use pre-55 features]. I would at least advocate dropping the term “radical traditionalism” as it seems one who wants to adhere to Catholic tradition by the fullest means available can never be a “radical,” it is a contradiction. “Faux-traditionalism” seems like a much better term for those who commit sins against charity and obedience – because that is not traditional at all. If you agree with me, that’s fine. If you already addressed it I apologize in advance. If you agree with me, perhaps Dave can consider not using the term either? OR – perhaps I am wrong (I am open to a better terminology or correction). Oh and people are, in fact, too nit-picky and too critical. Mark my words though: I have seen the worst behavior coming out of the Ordinary Form and I am not only talking about abuses; I am talking about how people act, their beliefs about Catholicism, etc. I have also seen very nice and sincere people from both forms of the Roman rite and their respective parishes. It’s just people can be weird wherever you go – to put it nicely. Okay I have been watching. It is very good. Unless I missed it, perhaps a little more info about the objective liturgical tradition would be good; e.g. the objective superiority of the prayers and ritual of the Traditional Mass – as nice as you can communicate it (or maybe you couldn't do this, I don't know). Side request: You mentioned Congar and his issues. There has not been much said about him, I think he is an insidious person. If it’s possible, can you do a post on Congar in a similar manner as Balthasar? I already agree with you, Alexander. That's why I coined the term, "radical Catholic reactionary": so as to make a complete break with any association with legitimate, mainstream traditionalists. Interesting term. I assume “reactionary” means something like, to name some examples, automatically rejecting/reacting negatively to everything post-conciliar and reacting negatively every time the Pope does or says anything; an excessive critical nature, devoid of charity. Of course, this may entail other more obvious features such as disobedience or even judgment of another’s soul. >"I would get so riled up reading Dave's comments on "radical traditionalism" that I unfollowed him on Facebook"
Are you sure you don't need professional help with these dreadful tantrums, Boniface? Think of the children. Good talk, good introduction one could say. One simple question - if your ideas are right, then they should be applicable in whole Church. Now, if we take into account that there are innumerous countries and places where there is no Traditional Mass whatsoever, what should a Catholic do? Schould he attend the NO? 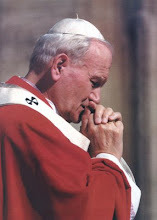 Is NO good and acceptable in itself, or should he stay at home and pray the TLM from his Missal? This is a simple point where we can discern in how far your idea that the SSPX is irrelevant makes point. Because if you are consequent, you should admit that one should assist at NO with sacrileges like communion in hand or extraordinary ministers and that there is no excuse for not attending the NO. 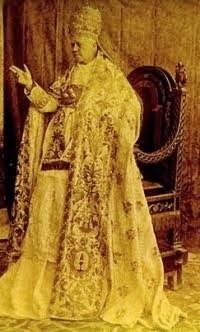 If there is an excuse, by this fact you admit that the role of SSPX is as relevant as it could just be because if you hold to a principe which excuses from attending the NO, you automatically admit that there is a right of attending the TLM and that no one can forbit it on whatsoever reason. And this is exactly the case with the SSPX which operates in many locations where the bishop doesn't want to allow the TLM. You couldn't possibly say that he has, legally speaking, an obligation to allow it if both 'forms' are the equally orthodox and edifying expression of the 'same rite'. He can without any problem say that the other 'form' is as just as good as the other and that there are no other reasons than aesthetic, cultural or spiritual to attend it - so that the faithful should satisfy themselves with the 'ordinary form'. And he is without any doubt right - this is exactly how things are presented in the Motuproprio. If both Masses are equally doctrinary sound and worthy, then why should I insist on the one more than the other? Because I like Latin or Gregorian chant? Ok, but then I should be also satisfied with protestant music and vernacular in the NO, with table facing the people etc. 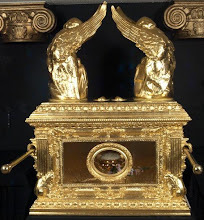 I just can not understand how the ED folks are managing to justify rationally to themselves their own positions where they wash their hands from the SSPX and buy their 'libelli' in order to justify themselves before the Modernist hierarchy? Well, some people simply always genuflect on the wrong knee, year in and year out. I guess at some point it is necessary to tell them ;-) One of my relatives always quips "where is the bishop?" when we talk about this. This is a simple point where we can discern in how far your idea that the SSPX is irrelevant makes point. Because if you are consequent, you should admit that one should assist at NO with sacrileges like communion in hand or extraordinary ministers and that there is no excuse for not attending the NO. 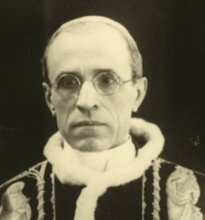 If there is an excuse, by this fact you admit that the role of SSPX is as relevant as it could just be because if you hold to a principe which excuses from attending the NO, you automatically admit that there is a right of attending the TLM and that no one can forbit it on whatsoever reason. And this is exactly the case with the SSPX which operates in many locations where the bishop doesn't want to allow the TLM. You couldn't possibly say that he has, legally speaking, an obligation to allow it if both 'forms' are the equally orthodox and edifying expression of the 'same rite'. He can without any problem say that the other 'form' is as just as good as the other and that there are no other reasons than aesthetic, cultural or spiritual to attend it - so that the faithful should satisfy themselves with the 'extraordinary form'. And he is without any doubt right - this is exactly how things are presented in the Motuproprio. If both Masses are equally doctrinary sound and worthy, then why should I insist on the one more than the other? Because I like Latin or Gregorian chant? Ok, but then I should be also satisfied with protestant music and vernacular in the NO, with table facing the people etc. 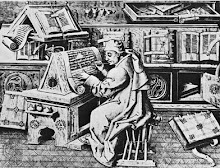 ^Robert, I believe your theory only holds if the Novus Ordo is intrinsically sacrilegious or offensive to God, something I do not agree with and have never held. Regarding the issue of "being too nit-picky," this way of framing the problem is in tension with two of the Lord's sayings. "He that is faithful in that which is least, is faithful also in that which is greater: and he that is unjust in that which is little, is unjust also in that which is greater." Luke 16:10. "“Woe to you, teachers of the law and Pharisees, you hypocrites! You give a tenth of your spices—mint, dill and cumin. But you have neglected the more important matters of the law—justice, mercy and faithfulness. You should have practiced the latter, without neglecting the former." We should strain out the gnat as well as not swallowing the camel. One might rather say that the problem is being premature in focusing on the necessary details while the necessary foundations are being laid. After all, we must deal with the beams first, but after that we are instructed "to take the speck out of your neighbor’s eye." Matthew 7:5. The problem is timing, not the level of detail. ^Yes, but not every detail is of the same level of importance. I have never heard of anyone going to hell because of what knee they genuflect on. But I agree that timing is important. I really enjoyed your talk. The story about the villagers who failed to keep the caves clear, not realizing the consequences, makes me think about all the changes in the wording of prayers and hymns and the newer translations of Scripture. I memorized lots of prayers when I was a child and also significant Scripture quotations which proved Church doctrine. Not only is there less encouragement/requirement of memorization in the Catholic Church, but the different versions of prayers make it more difficult, e.g. the Magnificat. I remember hearing a story of how missionaries went to Japan after having been forbidden to go there for decades and they found a Christian community which had survived without priests and Sacraments by passing on the Faith through word of mouth. I have also been rereading "The King's Achievement" by Robert Hugh Benson which is reputed to be historically accurate and in which he talks about "the household" (lay people) knowing compline by heart. I am being a bit long-winded, but I wonder if we'll discover one day that memorization was more important to our Faith than we realized. @ Boniface - let's say that the other way around - that the NO is objectively bad and dangerous for the faith. Would you agree with that assertion and how could you rationally and theologically explain the true interest for the TLM without narrowing it down to the mere aesthetical, cultural, spiritual preference? 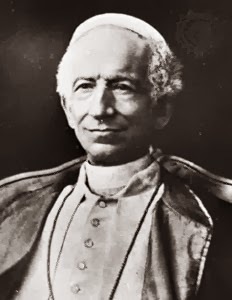 If it is not a doctrinal question - why should any bishop take any extra effort to allow the TLM when there is a Mass in every parish which is the expression of the same lex orandi? And why should any faithful take care to attend the TLM if the NO is also an edifying and doctrinally correct Mass? Generally, I genuflect on whichever knee is giving me less trouble at the moment. So which is the correct knee to hit the floor? Your 100% correct about the SSPX not being central to keeping tradition alive. There were priest's and bishop's before the SSPX existed that were keeping sacred tradition alive in the late 1960's-early 1970's. If the SSPX imploded tomorrow it would not change the landscape. There are many traditional orders (indult sedevacantist and other recognize & resist groups) that would keep sacred tradition alive. Psh! Sedes! They don't keep the tradition alive. The tradition is to acknowledge there is a pope. It's not like schismatic and ephemeral groups are the only ones who kept tradition alive. Tradition was maintained within the mainstream as well, although in very small pockets.